Years, decades and even centuries later, the essence of these fights can often be glimpsed through their ephemera—the signs, slogans, and campaign buttons that both bolster true believers and aim to coax the reluctant into the fold. These objects can suggest campaign strategy as well as the temperament of the times. And they provide snapshots into that moment of possibility—physical artifacts with a potentially very short shelf life, infused as they are with the confidence of victory. Nowhere are these stories better preserved than at the Smithsonian’s National Museum of American History, where I work. 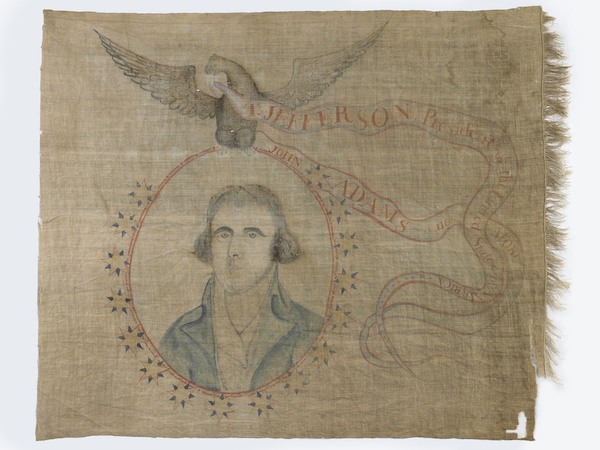 The Museum’s political campaign collection is the largest holding of presidential campaign material in the United States and includes banners, signs, campaign ephemera, novelties, documents, photographs, voter registration material, ballots, and voting machines. A magnifying glass and bag of “authentic chads” saved by Judge Robert A. Rosenberg as souvenirs of the 2000 presidential election. —A ribbon advertising the Harding-Wilson ticket of 1920 also celebrates the newly-passed 19th amendment, which gave women the constitutional right to vote. 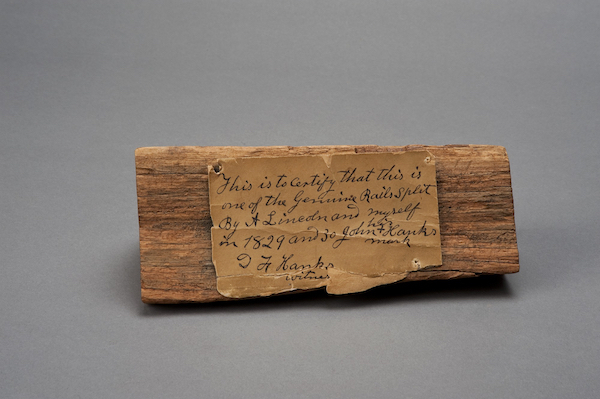 A wooden axe symbolic of “Old Abe the Rail Splitter,” presenting Lincoln as a down-to-earth common man. Badge worn by women supporting Republican presidential candidate Warren G. Harding in the 1920 presidential election. Other collections serve as physical record of major electoral events—the infamous “chads” from Broward County ballots were crucial to the outcome of the 2000 presidential election. 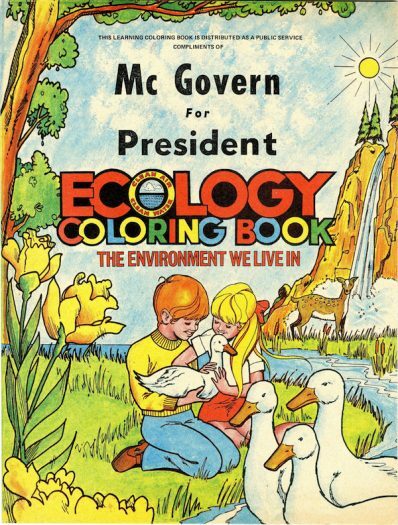 And some objects, like a coloring book about ecology produced by the 1972 McGovern campaign, demonstrate the different ways that political campaigns worked to connect with voters. Pamphlet, front cover. McGovern Campaign Ecology Coloring Book. PL*315264.0876.
is an interpretive specialist at the National Museum of American History. This essay is part of a What It Means to Be American Inquiry, U.S. Presidential Elections Have Always Been Crazy. Primary Editor: Sara Catania. Secondary Editor: Joe Mathews. 1. Magnifying Glass and Chads, Broward County, 2000. 3. The Genuine Rail, 1829-1830. 4. 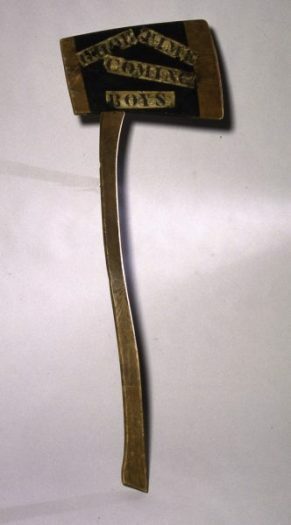 Wooden Campaign Parade Ax, 1860. 5. First Vote Badge, 1920. 6. McGovern Campaign Ecology Coloring Book, 1972. Are Presidential Debates Reality TV, Sunday Talk Show, Or Both?